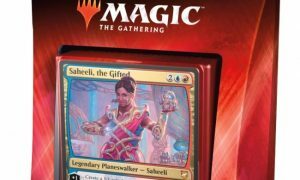 Wizards of the Coast has revealed box art for the four Commander 2018 decks for Magic: The Gathering releasing on August 10. 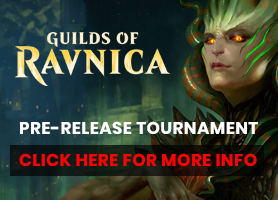 The Commander series is aimed at players who enjoy Magic’s social qualities, and serve as a convenient entry point for players who are interested in trying the format. Also, since new Magic cards legal in both Legacy and Vintage play, these decks will be useful for players of Eternal formats. Each Commander 2018 deck includes a 100-card Commander deck with never-before-printed Magic cards and three legendary foil cards, a deck box, 109 token cards, a strategy insert and a rules reference guide. The four decks include Exquisite Invention, Subjective Reality, Nature’s Vengeance, and Adaptive Enchantment. MSRP is $39.99 each. Come in and Preorder yours today.